The Club might like to know what Flurry has been up to since being selected for the GB Talent Squad last year. He has attended four training camps the first being at Edinburgh University in November, where the Squad looked at planning and Sports Science issues such as nutrition. 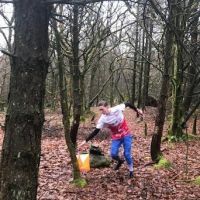 He went to two camps that addressed technical skills: December in Malham in North Yorkshire and in January in the Lake District. Also in January he underwent a VO2 Max assessment at Sheffield Hallam University where they measured how much oxygen was flowing through his blood to his muscles, whilst running on a treadmill. This (as you may know) measures the size of the 'engine'. Flurry's measurement was the best of the entire talent squad. This does not mean he can beat the whole Squad but that he has the potential to be faster than the entire Squad. As we were in the area he competed in the East Midlands Champs, which he won. Over the half term he spent a week at Badaguish in the Cairgorms for 7 days. It was very snowy and he saw a capercaillie . The week was 'race preparation'. He did very well every day beating his Squad members in his age category and older members. 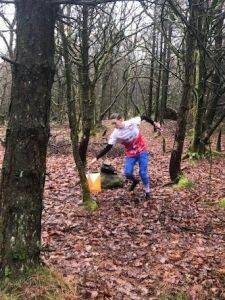 On Saturday there was an event at Darnaway, which you may recall was part of the World Orienteering year at the Scottish 6 Days. He beat everyone in the Squad except for Alex Carcas, who beat him by 40 seconds. As you can imagine he is having a great time.